Here’s a great way to make your dreadlocks more interesting! 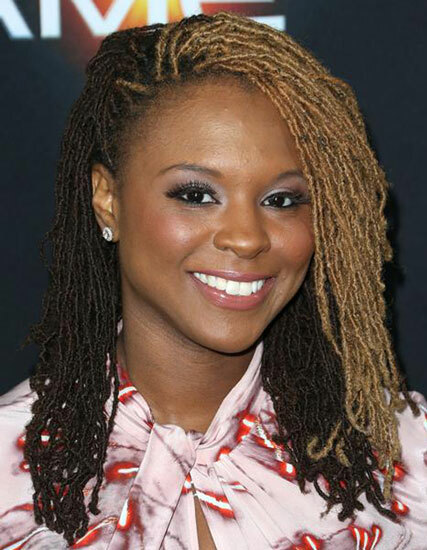 Torrei Hart’s sport..
Here’s a great way to make your dreadlocks more interesting! Torrei Hart’s sporting two extreme shades which resulted in a pretty quirky contrasting coif! The front is dyed blonde while the rest are in black hue. We adore the heavy side part she created and pinned some of the dreads from the side to the crown.